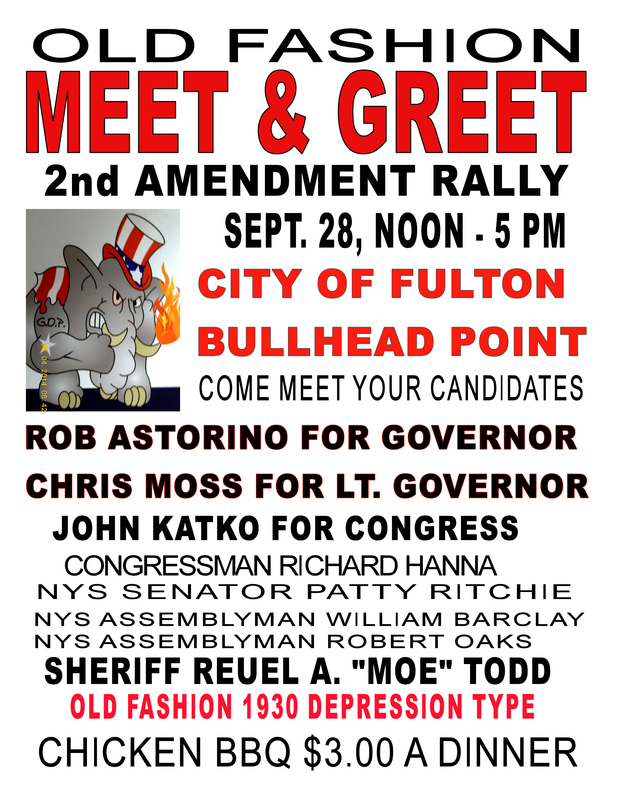 FULTON, NY – There will be a political rally and Second Amendment rally at Bull Head Point on Sept. 28 from noon to 5 p.m. There will also be a chicken barbecue ($3) eat in. 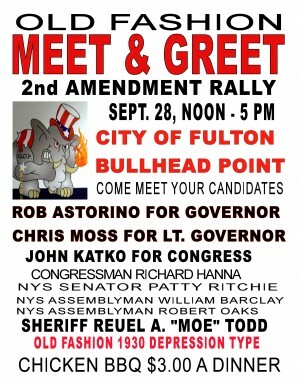 There will be drawings for door prizes every 15 minutes.